You are here: Home News Mobile Phone News Google Nexus One Phone is Out! Google Nexus One Phone is Out! Posted on January 6, 2010	by Jesmond Darmanin	in Mobile Phone News, New Releases	with 2 Comments on Google Nexus One Phone is Out! 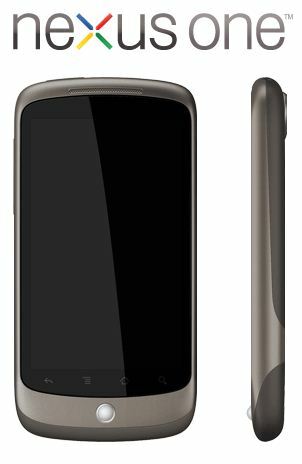 The long time rumored Google Nexus One phone has been now released. The release of this phone is almost impossible to miss, since it managed to gather mentions in almost all of the print/tech publications in the world. The specifications on this phone are quite amazing, and it’s probably going to hit Apple’s iPhone sales quite a bit. This is especially so, if it manages to get more app developers interested enough to start developing loads of applications for it. From a first point of view, the phone looks solid, extremely easy to use and the operating system looks nice. As previously mentioned, the specifications are fantastic! Style wise, it’s very similar to the usual “iPhone” design, and use of buttons is very minimal. As you can see above, the Google Nexus One, beats the iPhone 3Gs hands down spec wise. However when it comes to the variety of applications available, the iPhone still rules the pack. This can however quickly change since a lot of application developers, are already creating android compatible applications of most of the existing iPhone apps. I guess we just have to wait and see! Unfortunately, I think we would have to wait quite a bit to see this phone available in Malta. omg, this phone looks incredible, cant wait to get my hands on it.